Cenote Azul (sometimes called the Azul Cenote) located about 3 kilometers from the town of Bacalar, Mexico (map below) is, depending on who you ask is either the largest or second largest cenote on the Yucatan. Swimming in the over 90-meter deep deep water is both refreshing and a bit eerie. Roots from trees on the edge grow along the rocks deep into the water. 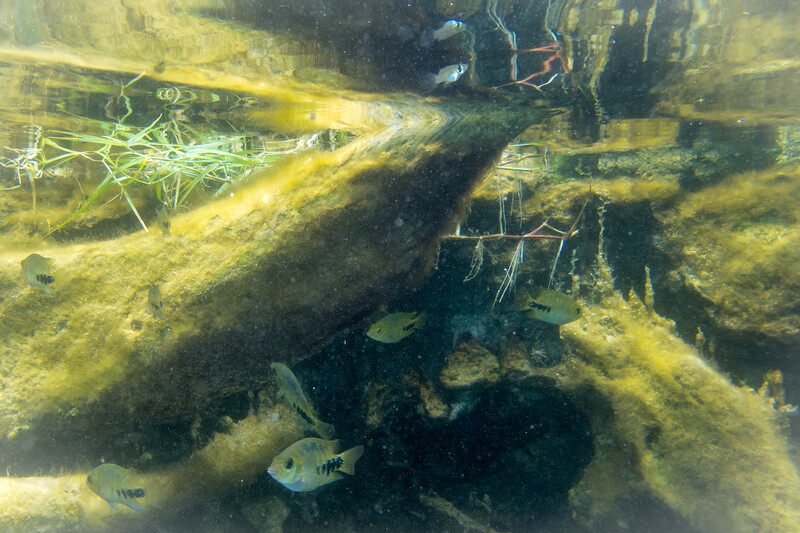 Overhanging branches often fall in the water creating a potential trap for incautious snorkelers. Just a few feet from the edge the water seemingly falls off into an infinite void. Thousands of fish school around you. A Mayan friend of mine told me that there have been skeletons and ancient artifacts found on a small platform at the 25-meter level. Cenotes are freshwater sinkholes formed by the Yucatan’s underground river systems. As the river flows it erodes the limestone around it forming caverns. When the caverns roof collapses causing an opening at the surface; a cenote is formed. 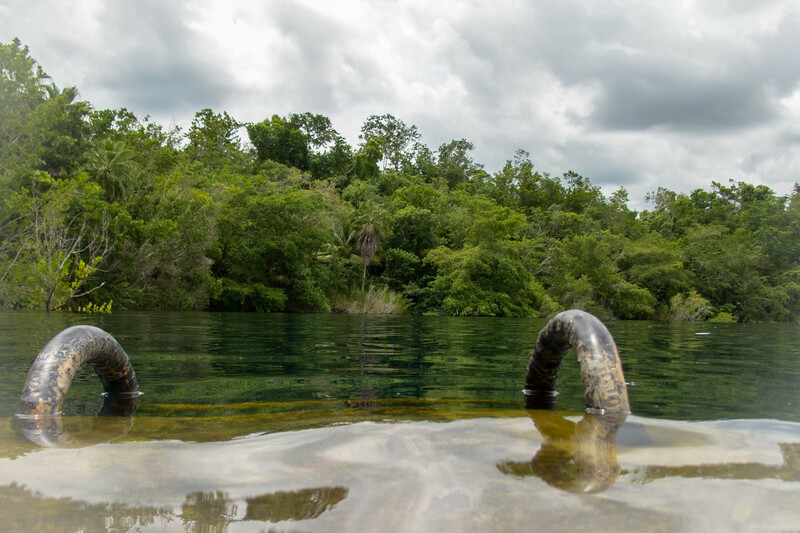 To the Maya these sinkholes were an import source of freshwater and are considered sacred. Cenotes were also sometimes used by the ancient Mayans for sacrificial offerings. Is Cenote Azul Full of Tourists? Cenote Azul is not often visited by foreigners but I highly recommend it. 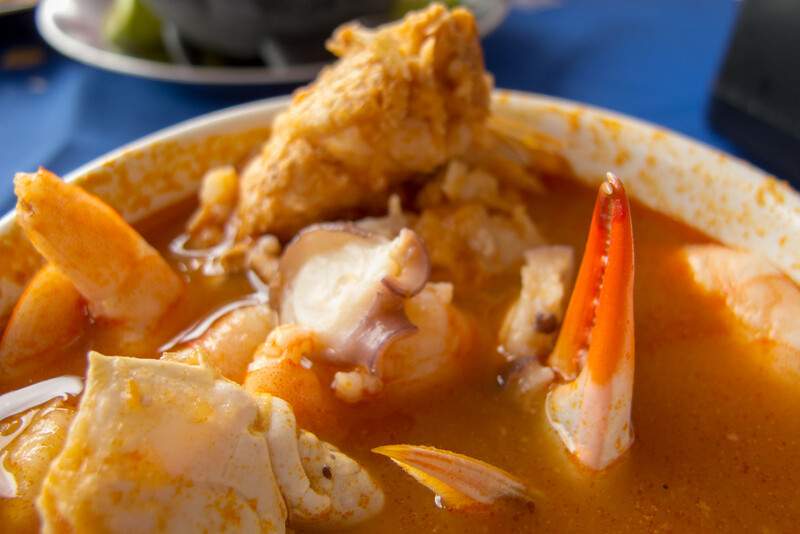 There are restaurants where you can get a table at the edge of the water, eat a delicious meal (I had the Sopa de Mariscos), get a cold beer (Negra Modello) and come in and out as you please. There are changing rooms and a small gift shop also on the grounds but they are uncrowded and don’t detract from the charm of the place. Nice blog. I’ll ride along. (Mine, from Merida, is under construction, visible, soon to take the plunge: MeridaGOround.com .) ~eric.